A fundraiser inspired by dogs from the Friends of Southern Ocean County Animal Shelter has launched a hand-crafted custom dog line made from Merino Wool. Each stuffed dog is unique and crafted by hand in the United States, with $15 of each purchased going to help real dogs at the Friends of Southern Ocean County Animal Shelter. After brainstorming, the family decided to use wool combined with the art of felting. After several months of prototypes, Shelter Pups company resulted. They also make customized stuffed dogs from any photograph of a dog, complete with special markings. When a stuffed dog is finished, they post it to the “reserve” page on the website so the customer can review it and then purchase. The customized dogs are created in five days’ time. 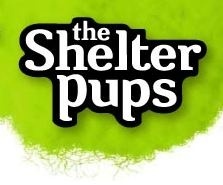 Shelter Pups employs seven full time people and one part time. All of their promotion has been word of mouth, and according to Verhagen, it is building. The eyes of the stuffed dogs are made of a clear, acrylic material backed by hand-colored felted well. The company reports thriving on details, so mixed breeds in a variety of eye colors are carefully hand crafted.